How do I find Worker Comp Lawyers? - If you are hurt during your employment and you need immediate funds for medical bills and lost wages. - If your injuries are not severe enough to warrant giving up your legal rights to filing a tort lawsuit against your employer. - If you will not have any legal recourse or it is questionable whether you can recover any damages by filing a lawsuit. The trade-off that worker compensation offers is immediate financial help for medical bills and lost wages at the expense of giving up any legal claims against your employer or other employees. It will be important that you tell your lawyer how you got injured, what you were doing when you got injured, and what the scope of your employment entails. It will be very important that you seek a worker comp lawyer as quickly as you can after your injury, as these claims can be barred by time limits, depending on the state in which you are working. Worker comp lawyers will usually advertise their services in your area and will be listed in local lawyer listings. While these provide a good source of information about names and locations of lawyers, it is important that you seek only reputable worker comp lawyers. This cannot always be achieve solely by relying on the claims of advertisements or name recognition. You should conduct some research about the quality of any potential legal representative. This website can provide important information about worker comp lawyers in your area. Use the search function on the top of all pages to find and compare lawyers. You may also use the ask legal questions option provided by this website. Worker compensation law is a specialized area of the law and requires familiarity and certain knowledge in order to properly go through the proper channels and quickly receive awards for injuries. It is very important that you find a worker comp lawyer that consistently works on similar cases and knows what forms to file and when to file them. It should also be important that your lawyer is up to date on the ever changing rules of workers compensation law. It will be very helpful if you are able to bring to your worker comp lawyer any documents about your injury. Bring all medical reports, accident reports, or any other papers that involve your injury. It is also important that you come prepared with specific dates, times, names, and places to tell your lawyer. It will be very important that you give as specific a picture as possible for your lawyer so they can best evaluate and determine how to proceed with your case. Come prepared with any questions that you have for your lawyer. Questions not only will get you the answers you need, they can also spark important conversations with your worker comp lawyer that can help both you and the lawyer work on your case. Any worker comp lawyer that you hire must at the very least have graduated from an accredited U.S. law school and passed the bar examination in their state. But you should also ensure that your lawyer specializes in workers compensation law and has had the proper experience to represent you. Ask others in your workplace, community, or other groups for recommended lawyers. While advertising and listings may make promises and guarantees, do not rely on these statements when evaluating a lawyer. Often, lawyers will make these claims to draw attention to their practice but cannot always achieve what they promise. An experienced worker comp lawyer will have a reasonable expectation of how to proceed through your workers compensation filing and will be prepared to meet any resistance that may occur. They should be a well organized and timely person, especially since any mistakes may lead to a delay in receiving compensation or even worse, missing deadlines which could result in problems for your claims. Worker comp lawyers will usually only need to file your paperwork and perhaps appear on your behalf, but sometimes may even represent you in hearings to defend your claims. Always be wary of unreasonable fees, unethical behavior, or even coercion on the part of a lawyer. Make sure that your lawyer is always acting with your best interests in mind and confront any lawyer who acts otherwise. It may be necessary to report unethical behavior to the state bar association if you feel your lawyers behavior is egregious and other clients may be at risk for abuse. A worker comp lawyer may charge his or her fees using one of the different fee structures available. A retainer is usually required for cases that will face extensive issues or require more time than usual. Always get agreed upon fees in writing and keep these agreements in a secure place. A contingency fee is a fee paid only when the lawyer is successful in obtaining compensation for their client. It will be a particular percentage of the final amount, which is determined by the lawyer depending on location and time needed to effectively secure the compensation. An Hourly or Flat Fee requires immediate payment for specified legal work that is to be conducted by a lawyer. This may include basic legal work or can entail more technical work, depending on how the lawyer charges their fee. Hourly fees are charged on an hourly basis. Beware of hourly charges, as they can quickly explode into huge amounts if your case faces specific issues or problems that were unforeseen. A referral fee a split of fees between a lawyer who brings a case to another lawyer. This may occur for several reasons, such as the referring lawyer does not have enough experience to take the case, the referring lawyer has too many cases to take, or a conflict of interests exists. - Get a good understanding of your lawyers background and experience, to both ensure you are properly represented and to give you piece of mind that you are in good hands. - Know when and how to contact your lawyer. You may have to provide important updates about your case. Likewise, your lawyer should be able to contact you in order to inform you of changes in your case or to ask for your decisions. A Workers Compensation Lawyer is an attorney, barred by the state, which deals exclusively in the area of workers compensation matters. Workers compensation is a statutorily prescribed type of insurance that employers in most states are required to carry. Workers compensation allows an employee who is injured, during the course of his or her employment, to receive payments covering medical expenses, lost wages, and death benefits from his or her employer. In exchange for this mandatory compensation an employee may not litigate claims for negligence against his or her employer. A Workers Compensation Lawyer may still be necessary to ensure that an employee is getting all the benefits that they need to cover the costs of the injury or illness. An employer's worker compensation insurance is managed by an adjuster that has its own policies and their job is to minimize liability to the insurance firm. The employer's insurance adjuster will require that the injured employee seek a medical diagnosis from one of their physicians. The insurance adjuster will also require an interview with the injured employee to gather information about the injury and its effects. The adjusters are trained to solicit information from this interview that will be beneficial for the insurance adjuster. For this reason it is important to have a Workers Compensation Lawyer to appraise an individual of his or her rights. When meeting with the insurance adjuster it will be important to have a Workers Compensation Attorney on hand to help the injured employee maneuver through the interview and not fall into traps set by the insurance company that could lower their liability. A Workers Compensation Lawyer will conduct an interview with a potential client. The Workers Compensation Lawyer will normally not charge a fee associated with a consultation. It is at that time that the Workers Compensation Lawyer will analyze the matter and discuss whether there is a dispute and whether it is worth litigating. Once a Workers Compensation Lawyer is retained the lawyer will gather medical documents, payroll information and analyze the long term costs that the client may incur as a result of the employees injury or illness. The Worker's Compensation Lawyer will also gather information on the costs associated with medical prescriptions, the costs associated with rehabilitation, projected lost wages, transportation costs (if the client is now immobile) and any other expenses. A Workers Compensation Lawyer will also be beneficial in choosing the correct medical personnel to handle the injured employees matter. The Workers Compensation Lawyer deals with physicians constantly and will be knowledgeable about who the best physicians are in that particular field to aid in a diagnosis which, is not only beneficial, but supportive of a worker's compensation claim. The Workers Compensation Lawyer will also consult with the Worker's Compensation Insurance Company to discuss costs associated with the overall result of the injury, or illness, and attempt to negotiate the matter through settlement or mediation. If these discussions do not result in a settlement it may be necessary for the Workers Compensation Lawyer to file a claim in court and pursue litigation. In preparation for litigation a Worker's Compensation Lawyer will prepare the client for trial, gather and prepare witnesses, prepare medical presentations and prepare medical experts for trial. The amount of money awarded to an injured employee is defined by statute in the specific states law. However, it is the Worker's Compensation Lawyers goal to ensure that the client receives the maximum award allowed under law. One of the factors that a Worker's Compensation Lawyer will analyze is the projected future income of an injured employee. For example, if an employee is a college graduate and is injured at a young age the Workers Compensation Lawyer will attempt to prove that because of that employees education, abilities, and overall attributes he or she would have climbed up the "corporate ladder" and been capable of making a much higher salary if it were not for the injury. This situation comes about when the employee is severely injured and the injury creates a situation where the individual's employment opportunities are severely diminished over a long period of time. It also comes about in seeking death benefits from an on the job injury. A Workers Compensation Lawyer is also important in analyzing a worker's compensation matter to discover if there are any third parties who are also liable for the employee's injury. The workers compensation laws only protect the employer from high awards due to an employee's injury; it does not protect third party defendants. For example, if an employee is injured, during his employment at a construction site, when a steel beam lands on, and breaks his foot, the employee may not sue his employer for the injury. However, if the steel toed boots that the employee was wearing at the time were defective and contributed to his injury the employee may sue the manufacturer in a products defect action. The Workers Compensation Lawyer will be essential in helping to determine the extent that the injury was caused, or escalated, by the third parties negligence. The costs associated with a Workers Compensation Lawyer are usually on a contingency basis. This means that the Workers Compensation Lawyer will receive a percentage of the total award that the injured employee receives from the workers compensation insurance adjuster. Most states have a cap on attorneys fees associated with workers compensation claims. The maximum that a Workers Compensation Lawyer may receive is around 20% of the total workers compensation. There are also statutes of limitations associated with a worker's compensation claim. A Worker's Compensation Attorney will be abreast of the applicable statute of limitations concerning these matters. In addition, every state has different workers compensation laws and there is a federal workers compensation law. Depending on who the individual employer is it may be necessary to retain a Worker's Compensation Lawyer that specializes in workers compensation claims against the federal government. The State of Iowa has differing laws, in comparison to other states, regarding workers compensation. Therefore, if one lives in Des Moines it is important to retain a Des Moines Workers Compensation Lawyer. Unlike other states in the Union, workers compensation claims in Iowa go before the Office of Workers Compensation Commissioner. When disputed claims for workers compensation arise it is important to have a Des Moines Workers Compensation Lawyer who is familiar with the procedures and people involved in the Commissioner's Office. It is also important to have a Des Moines Workers Compensation Lawyer to analyze the statute of limitations. In Iowa the statute of limitations for a worker's compensation claim can vary between 2 and 3 years depending on the issue. A Des Moines Workers Compensation Lawyer will be familiar with these formalities as well as the filing requirements and dates that correspond with hearings before the Commissioner's Office. Compensation Lawyers are attorneys who specialize in helping clients receive the necessary medical and economic benefits they are entitled to under workers compensation, as well as Social Security Disability. There are many situations where you might need a compensation lawyer. If your employer, or your employer's insurance company has refused you benefits, or paid you less than you are entitled, a compensation lawyer will be helpful in making sure that you get the benefits that you are entitled to by law. Compensation Lawyers are often attorneys who specialize in workers compensation law. Compensation Lawyers are also helpful in matters where there is no injury. In these situations a compensation lawyer will defend a client who has been wrongfully treated in the way of salary, benefits, vacation and sick leave by his or her employer. When you sign an employment contract you are binding yourself to do a specific job with specific results. In return your employer is guaranteeing certain benefits. If your employer does not live up to those bargains then it may be a good time to contact a compensation lawyer. Do I need a Compensation Lawyer? 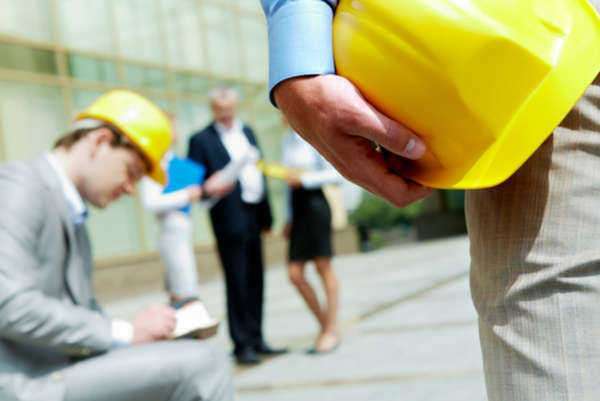 A workers’ compensation lawyers represents employees who have sustained injuries on the job. The workers’ compensation lawyer is a specialist regarding a particular state’s workers’ compensation program. These laws, which are both complicating and oscillating, can prevent you from receiving income after injury. As a result, the hiring of a compensation lawyer is mandated if you are too hurt to resume working. The necessity simply revolves around the end-game. If you represent yourself, the odds of receiving workers’ compensation is limited. An unfavorable ruling will greatly affect your ability to raise your family or pay your bills; without an income you can no longer sustain your lifestyle. The downside in this situation is seemingly endless. A compensation lawyer will guide you through the myriad of workers’ compensation laws in your state, as well as the process for obtaining workers’ compensation. Because of their experience and their knowledge of workers’ compensation law, compensation lawyers represent the best means to secure appropriate income, replacement payments and other forms of monetary awards. Where can I find a Compensation Lawyer? To locate a compensation lawyer you must exhaust all available resources. The Internet, given its efficiency and ability to located compensation lawyers in your area, should be the first consideration. Perform Google searches, visit the websites of accident compensation law firms in your area and read message boards forums and review sites to gauge the experience and effectiveness of accident compensation lawyers in your area. Additionally, professional organizations, such as state and local bar associations and entities specific to workers’ compensation law, will offer suitable referral services. In addition to scouring the Internet, you should also take advantage of “word-of-mouth” resources. Ask fellow employees, friends or relatives if they have been involved in a similar situation, and if so, what course of action they took in hiring a compensation lawyer. Given the significance of the situation, you should utilize all resources before hiring a compensation lawyer. What is the Ideal Personality of a Compensation Lawyer? When you narrow your list down to two or three compensation lawyers, contact them to set-up a consultation. Typically workers compensation lawyers will not a charge a fee for an initial meeting. During the consultation the compensation lawyer will assess your case; at this time you can decide if you want to hire the individual for representation. At the consultation you must observe the compensation lawyer’s personality. Is he careless? Does he lack the resources to take on my case? Or is he affable and highly passionate? Will he fight for me and do everything in his power to secure workers’ compensation? Does he communicate well? These questions are all crucial in regards to finding appropriate representation. Remember, the compensation lawyer is fighting for your right to earn an income, the right to feed your family and the right to refrain from poverty. Because of these responsibilities, it is essential that you feel comfortable with the compensation lawyer. In addition to his outward personality, you must also evaluate whether he listens and pays attention to you. Does he understand your issues and does he have a strong grasp for the law as it applies to your case? When you are meeting with a compensation lawyer be sure to take note of the staff and his office; if you hire the individual, you’ll interact with him on a regular basis. Everyone involved in the firm should be polite, professional and knowledgeable. Does my Compensation Lawyer’s Educational Background and Experience Matter? One of the key variables, when hiring a compensation lawyer, is the individual’s experience. A lawyer’s experience represents his or her grasp of the particular legal framework. Furthermore, experience also yields respect; an experienced compensation lawyer most likely has relationships with judges, state officials and other attorneys. All of these characteristics increase the likelihood (in general) of reaching a favorable outcome. Educational backgrounds are often cited as a key tool to evaluate the effectiveness of a lawyer. Although education is undoubtedly important, the quality of school a compensation lawyer graduated from, will not reveal his or her grasp on the legal framework, nor will it elucidate on the individual’s ability to serve your needs. That being said, it is essential to at least take note of the lawyer’s qualifications, particularly the individual’s licenses. What Should I know about Compensation Lawyer fees? During your meetings, you should ask the compensation lawyer for a retainer agreement (as well as a list of references). When you look-over the agreement be sure to ask the attorney to elucidate on every ambiguous facet latent in the document. A compensation lawyer’s fees are typically set by state law and are established on a contingency platform—based on the amount you recover. Regardless of the auto compensation lawyer’s structure, you should ask for an expected cost for help; this approximation will include fees for court reporters, expert witnesses and copying. What Questions should I ask my Compensation Lawyer? Before you hire a compensation lawyer, you should ask a series of questions to elucidate on the individual’s worthiness. The following questions will help you decipher whether a particular compensation lawyer is the right fit given your case. 1. Have you represented clients with similar cases? 2. Have represented clients who worked in my profession and sustained similar injuries? 3. Do you concentrate on a specific type of workers’ compensation claims? 4. Are you available to represent me? Will other lawyer’s work on my claim? If so, what will their roles and responsibilities me? 5. Can I contact you daily? If not, then who? 6. What is your preferred method of communication and how quickly can you get back to me? 7. What is your opinion and overall assessment of my claim? 8. Do my injuries meet the guidelines for workers’ compensation in my state? 9. How long will it take to settle my claim? 10. Is it likely that I would need to go to an administrative hearing to settle my claim? 11. What problems can delay my claim? 12. What kind of settlement can I expect to receive?